The Interior Design School offers a number of different courses that seek to accomodate individual requirements and circumstances. You may be looking for a course to achieve a personal goal with your own interior space or you may be looking for a qualification to practice as an interior designer. A series of courses are available ranging from a one day inspiration, part-time evening, a full-time one year Professional Diploma course and a 6 month Diploma in Residential Design course. Please contact us 0207 372 2811 or email ideas@idschool.co.uk to discuss your individual requirements. We specialize in helping you to understand where you can fit into the industry and change your career. Professional Diploma in Interior Design is aimed at students wishing to gain an understanding of the skills and knowledge required to change career, continue in further education or for those gaining individual development. The Majority of Applicants have no previous work or creative experience in the Interiors industry, however bring the desire ability and commitment to learn. From our experience, we find that it is really helpful for candidates to speak with us about their individual requirements. Everyone has a wealth of transferable skills along with latent creativity and we help you to find your unique talent. Our studio represents a functioning design practice enabling students to operate in an environment that feels relevant and professional. Each student is provided with an individual workstation with a desk, drawing board, project drawer and an individual lockable storage trolley. To help the studio to operate as it would in practice, all the equipment, materials and printing are included in the course cost. All drawing, rendering and model making materials are supplied with the relevant classes. Each student is provided with a new Macbook Pro 15” laptop that are networked to the internet and printing facilities. The appropriate software provided: Microsoft office, Adobe Photoshop, Educational version of Vectorworks and Sketch up Pro. The studio is equipped with A3 printers and scanners to help produce quality results for the portfolios. The computer laptop and software is yours to keep after the course finishes. Entry to exhibitions, Museums and Galleries are organised on the appropriate classes. 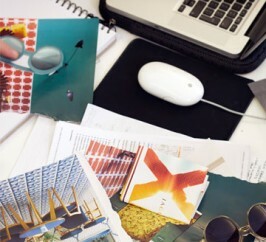 Student membership to the British Institute of Interior Design (BIID) gives an awareness of the Industry and through the year there are events organised to meet with practising designers. Students eligible for Transport for London 30% student discount travel pass. Students come to us with a passion for interiors and a wealth of life and business experience, whether it’s from a successful current career, a university degree or an architectural related background. The majority of applicants have no previous work or creative experience in the interiors industry, however they bring the desire, ability and commitment to learn along with relevant transferable skills. From the outset the emphasis is placed on learning drawing skills, colour appreciation, understanding the design process and developing ideas from the client brief to presentation through investigative design. Working with specialist tutors from within the industry, the required skills and knowledge are taught through practical studio projects introducing spatial and conceptual thinking as well as acquiring creative and technical abilities that meet industry standards. Professional Practice talks are delivered according to contracts and regulations adhered to by The British Institute of Interior Design. Throughout the course practising designers are invited to the project presentations giving feedback that relates closely to the industry. Visits are arranged to supplier’s showrooms as well as current exhibitions. Students are encouraged to join the British Institute of Interior Design (BIID) as student members. Our studio represents a functioning design practice enabling students to operate in an environment that feels relevant and professional. Each student is provided with an individual workstation with a desk, drawing board, project drawer and an individual lockable storage trolley. To help the studio to operate as it would in practice, all the equipment, materials and printing are included in the course cost. All drawing, rendering and model making materials are supplied with the relevant classes. Entry to exhibitions, Museums and Galleries are organised on the appropriate classes. Each student is provided with a new MacBook Pro 15” laptop that is networked to the internet and printing facilities with the appropriate software provided: Microsoft office, Adobe Photoshop, Educational version of Vectorworks and Sketch up Pro. The studio is equipped with A3 printers and scanners to help produce quality results for the portfolios. The computer laptop with software is yours to keep after the course finishes. This is your digital portfolio and you are also provided with a professional portfolio to display all projects for future interviews. Students are eligible for Transport for London 30% student discount travel pass. You student card entitles you to discounts at museums, exhibitions and designated retail stores. The one day Inspiration Day gives a good overview of the process of design thinking and participants leave with a checklist of how to start by writing a brief and producing a visual interpretation that is the basis for a sample palette that kick starts the project. 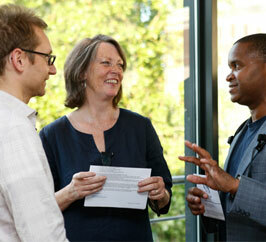 "I took the one day Inspiration Day Course recently and loved it. The tuition is excellent and I got a huge amount out of it, over and above just a really enjoyable, interesting day, it was absolutely a worthwhile investment." The Professional Interior Design Certificate consists of four modules which have to be gained sequentially over two years. The Interior Basics, Interior Planning, Interior Detailing and Interior Professional Practice. At the end of each module you will be awarded a certificate acknowledging the skills you have achieved. The Interior Basics Module One (evening class or summer one week course) is the Introduction to all the courses, which is taught as a one room project illustrating how to write and analyse the brief, identify the requirements and understand how to draw a space using ergonomics and planning criteria. Elements of the interior such as colour, lighting, materials and furniture are taught throughout the course and the culmination is the visual and verbal presentation of the scheme. Interior Planning Module Two consists of a larger residential project, revisiting the design process learnt in Module One with more emphasis on spatial awareness through exploratory drawing, understanding planning constraints, developing freehand and technical 2D and 3D skills, how to create a colour, materials and furniture palette culminating in presentation and communication techniques. Interior Detailing Module Three follows the first introductory modules to continue exploring the next stage in the design stages, developing a sketch scheme from a loose set of ideas into something that can be costed and built. 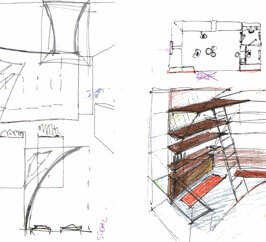 The project is to complete a concept proposal for a hotel room and en-suite bathroom. This is followed by the detail development of the hotel wardrobe space and an information construction pack for the en-suite bathroom. Interior Professional Practice Module Four is the basis to understand through lectures and project examples how projects are delivered in practice. The administrative procedures, the building team, regulations, liability and general professional conduct. These important issues are delivered in a realistic way from a team of professionals who share their experiences in a creative way.